Antique Thimble Box. 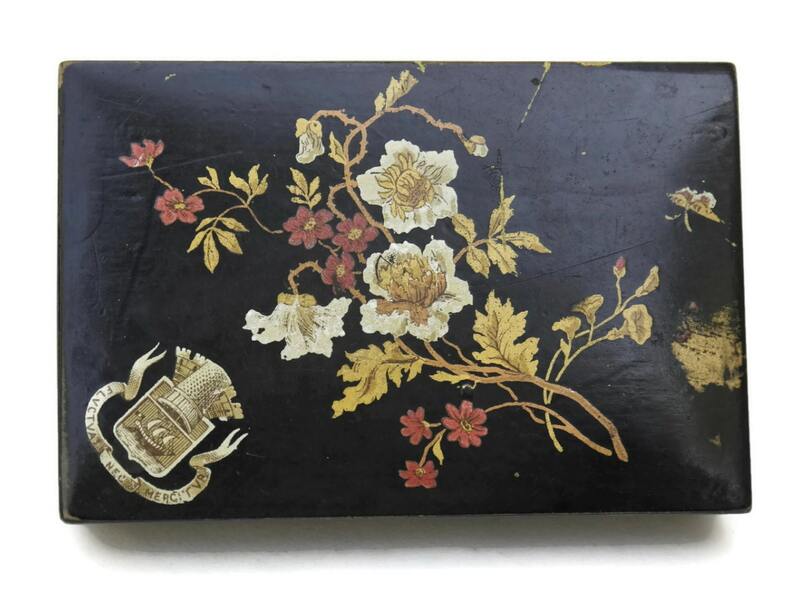 French Advertising Black Lacquered Box. 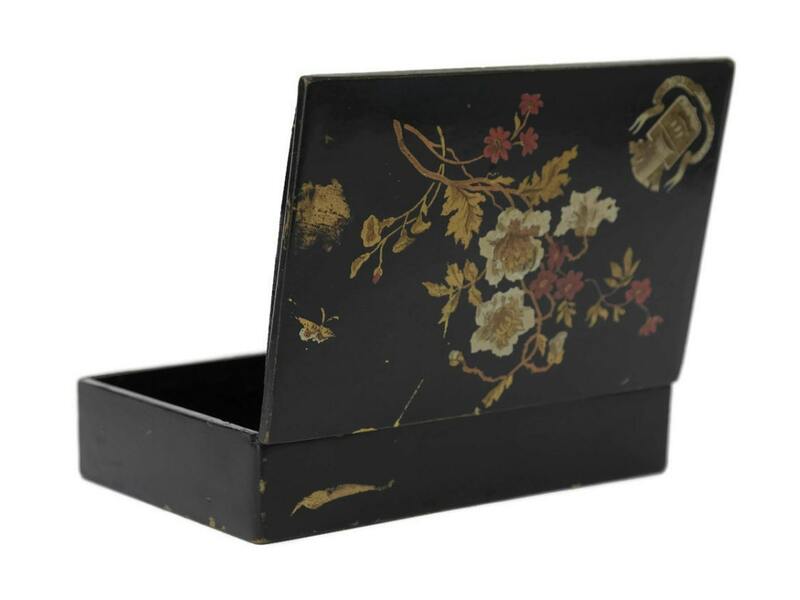 Needlework Box With Flower Decoupage. 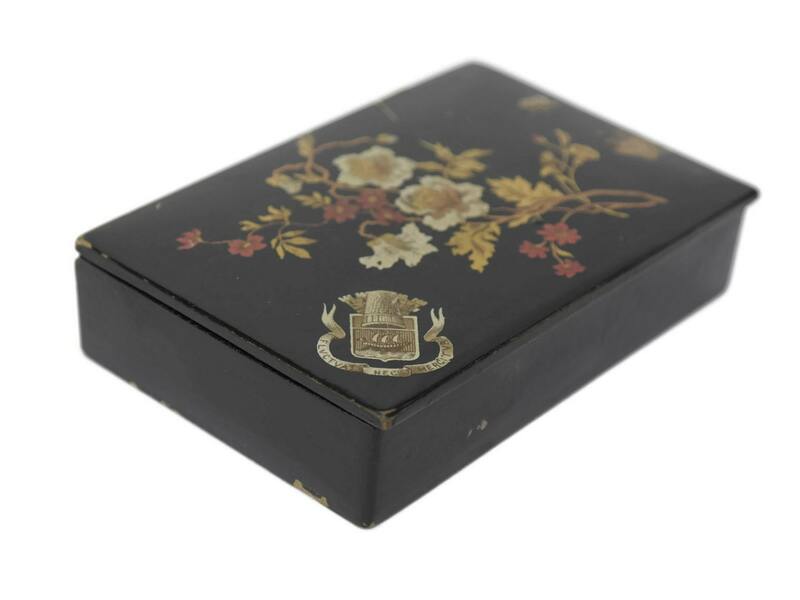 An adorable antique French thimble box dating from the 1910's. 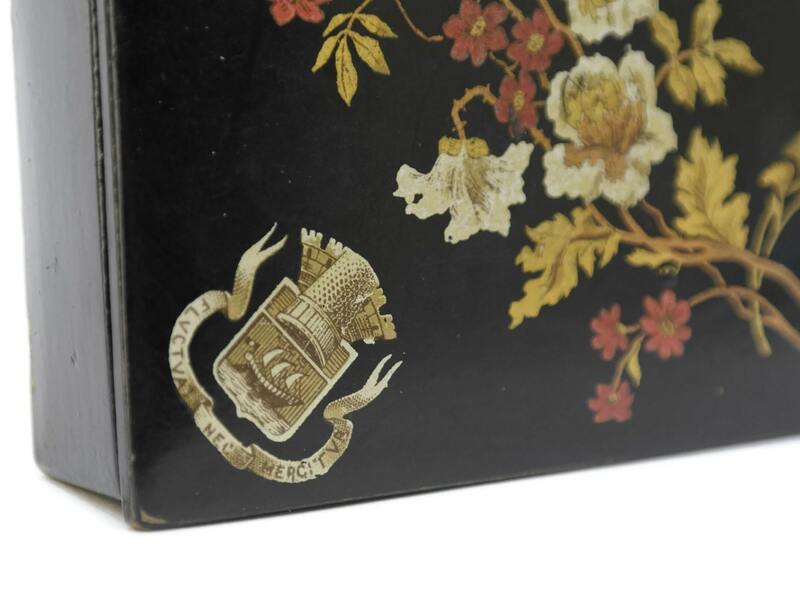 The rectangular box has been made from wood and decorated in a deep glossy black with decoupaged flowers and the logo of the thimble company in one corner. The box measures 4 3/4" Long x 1" Tall x 3" Wide (12 cm x 2,5 cm x 8 cm). 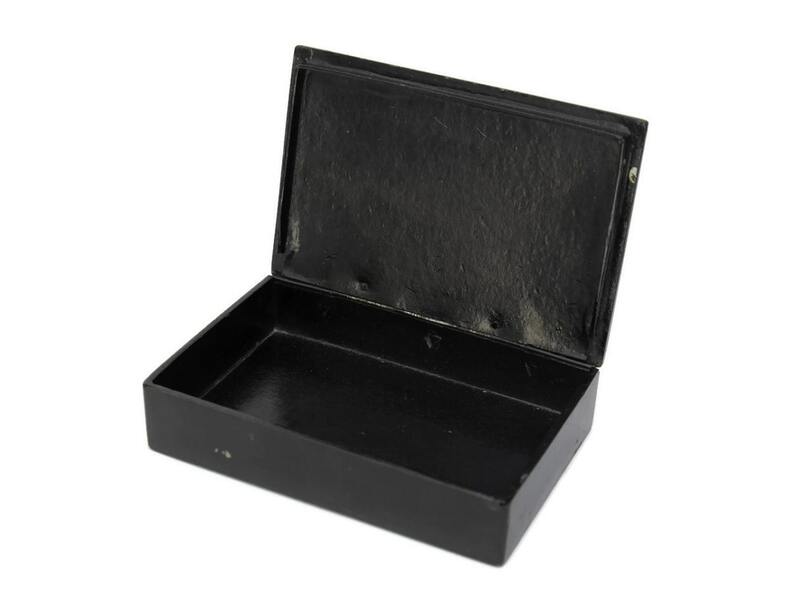 The antique box is in good condition with age-appropriate wear and signs of age including marks and light scratches to the lacquered surface.